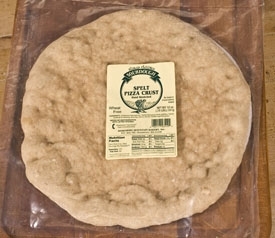 A hand stretched, prepared pizza crust that gives you the chance to be creative and build your own. 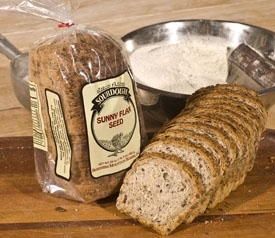 Spelt is an ancient grain that is a part of the larger wheat family. However, many customers have developed a strong preference to spelt over wheat so you may want to try it. This crust was designed with the idea of bringing a higher nutritional value to your meal yet light enough to please most. A hand stretched, prepared pizza crust that gives you the chance to be creative and build your own. 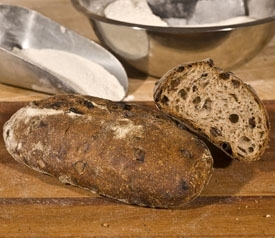 Spelt is an ancient grain that is a part of the wheat family but has less gluten. 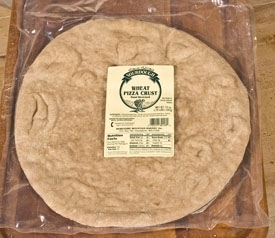 Customers with sensitivities to wheat often enjoy our spelt crusts. This crust was designed with the idea of bringing a higher nutritional value to your meal yet light enough to please most. 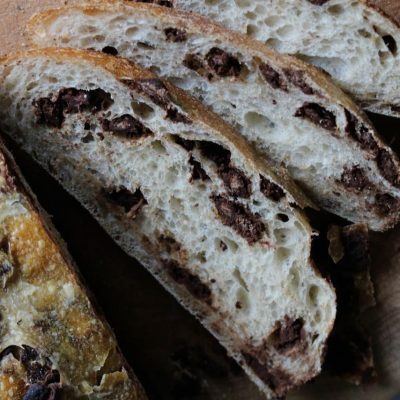 Ingredients: Organic unbleached white spelt flour, stone ground organic whole spelt flour, filtered water, natural spelt sourdough for leavening, unrefined sea salt.